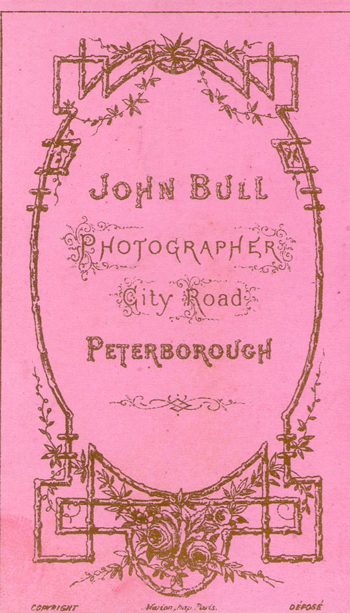 Old Photographs - Cambridgeshire Photographers - Who Were They? Many commercial photographers offered cartes de visite or cabinet portraits priced per dozen. Cartes and cabinet portraits were often exchanged between friends and relatives. Identical portraits would have ended up in different family albums, which may well have been passed on through different families and ended up in different parts of the UK, or indeed of the world. 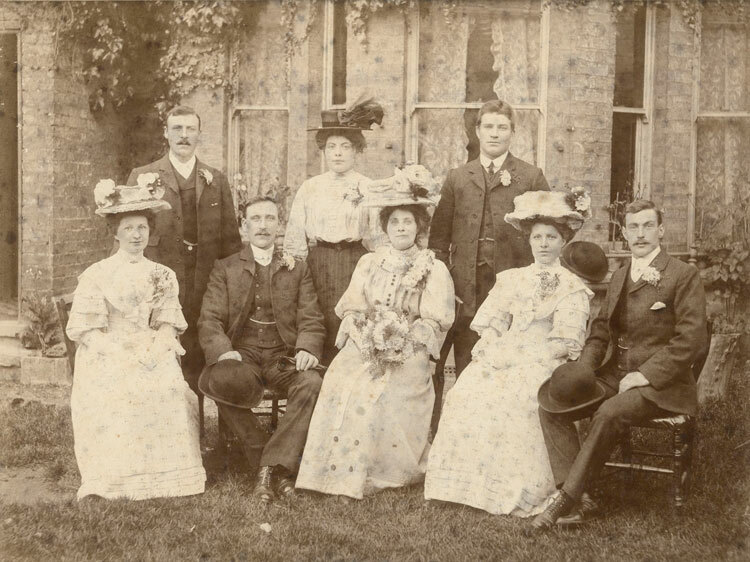 It's quite possible therefore that today, somewhere, a family historian is grappling to identify the subject of a photograph who has already been identified in another album by someone researching a different family. So - take a look at the images below and if you have any ideas of the identity of the sitter in any one of them, please contact the person listing the image. We may, by some miracle, be able to help each other to identify someone who was photographed 100 to 150 years ago. 1. 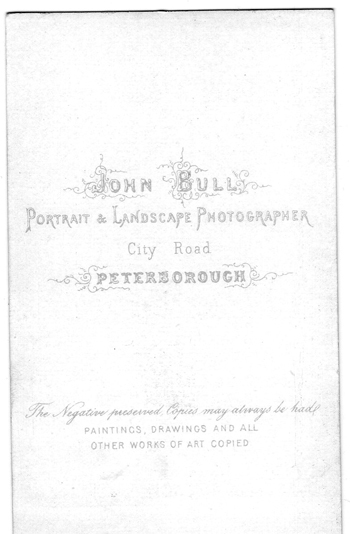 The photos below by John Bull, Peterborough, from the 1860s, have been sent by Heather Adam (scottie_dog@hotmail.com) and may be of members of a family by the name of Aves. Do you have these images in a family album? 2. The photos below are from a family album of the Clark family. Diane Clark writes from Australia to say: " Both mine and my husband’s family came from Cambridgeshire. When Chris’s mother (Grace Clark) died we found many old photographs in her attic. Some were in their original frames and others in albums. Sadly mum had never shown the photos to Chris so we did not know who they were, except by deduction. I have scanned many of these photos and a small number have been professionally scanned to preserve them as the originals are becoming spotted with age. Attached are some of them as they may help others searching for their family. As well I would like to know the names of some of the people in the photographs." Three photos sent by Diane are shown below. Professionally scanned wedding photograph of Grace Clark’s parents: Robert George Willers and Eleanor Harriett Fordham on 19 October 1907. They were married at St Philip’s Church Cambridge. Both lived in Cambridge at the time, although Robert had been born in Teversham on 18 March 1880 and Eleanor in Linton in the 2nd quarter of 1879. The couple seated in the front row are the bride and groom. The bridesmaids have a strong family resemblance to the bride, so maybe her sisters. The identity of the men is unknown. 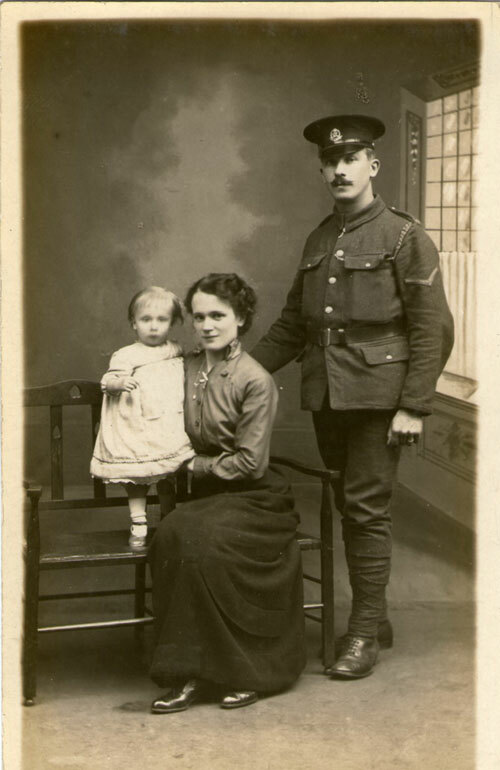 A couple plus their child from Grace Clark’s stepmother’s photograph album. 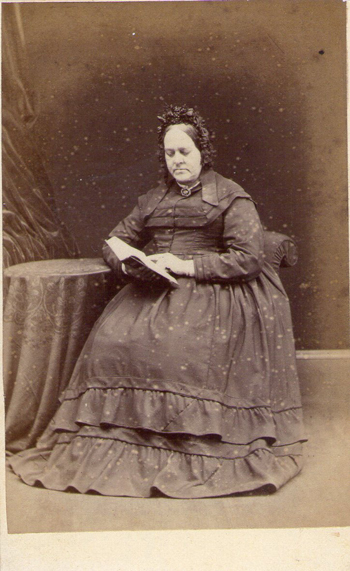 Album owner was Lois Gertrude Cracknell born Linton 1st quarter 1886. 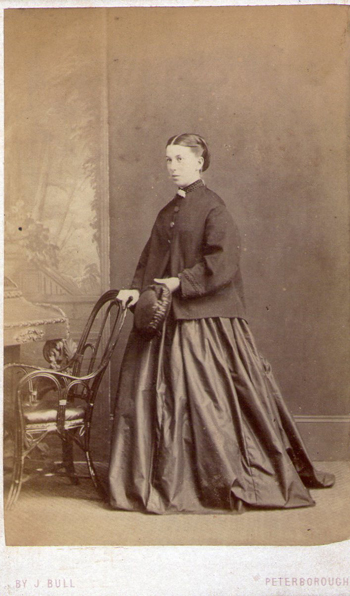 Grace’s stepmother was the niece of her Grandfather’s second wife. 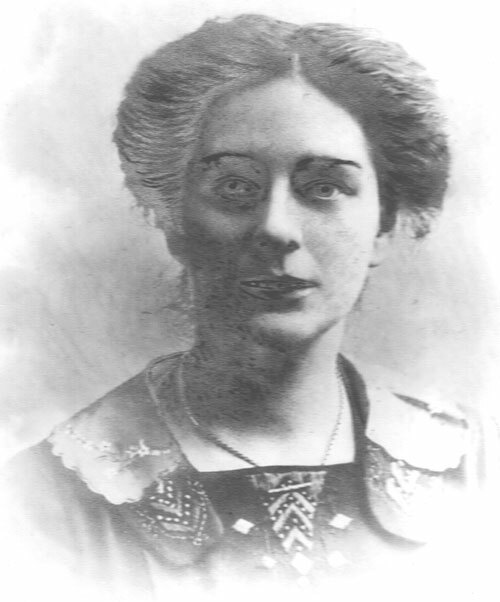 Her grandfather was Frederick Fordham, Eleanor Fordham’s father. This is from a Starr and Rignall postcard. Diane believes it to be a portrait of Lois Gertrude Willers nee Cracknell, Robert’s Willers' second wife. Robert married Gertie in 1920. Can you identify the sitter?